So, not too long ago I reviewed a live event wrestling show I went to. This, to my knowledge, is WWE‘s first ever live broadcast from the Ryougoku Sumo Hall in Tokyo, Japan. That alone had me interested, but when you have Brock Lesnar’s return match since WrestleMania and an NXT Championship match on the card, how could you not be interested in watching it? So, while my opinion isn’t that of the masses, not that that’s ever bothered me before, I just want to let everyone know why I felt it was worth covering this event. This opening match was definitely the best way I could think of to start off this show. Jericho has always been great, but when you put him against the UK’s own, ever-impressive Neville, you know you are going to be entertained. Jericho even pulled out the Liontamer to make Neville tap out at the end, and – my – how beautiful is that move, I miss it so much. Such a great way to start the night, or morning, to those in America who got up at 5:30am to watch this. Hah, now they know what it’s like for us who watch Raw and Pay per Views at 1am in the morning. It was nice to see the women competing on this show, mainly because in main Japanese promotions you don’t see as much women’s wrestling action unless you know the right places to look. All women made a very good effort in this, even Tamina (who was thrown into the match to replace her ally Naomi who was dealing with a real life family loss). My main concern was probably the finish, as it was just a forearm strike from Nikki that got her the win. I mean, she must have forearms made from the toughest of metals, because otherwise that just didn’t feel… finish worthy? She should have used her Rack Attack instead, which is actually her finishing move. Still, a very nice match besides this small nit-picking thing. This match went exactly how I thought it would go down, as I’m sure everyone in the world did apart from the other members of The New Day. Kofi attempted to do his best to fight back the beast, but he was no match for Lesnar as Kofi got the full Suplex City treatment. Even after the match, which ended in less than 3 minutes, he carried on attacking Kingston with many German Suplexes and F5s, and even doing the same to Xavier Woods and Big E, the other members of The New Day, who tried to help their buddy. I only wish the match was a little longer, I mean it was meant to show that Brock Lesnar is a freak of nature and end your life if you are in the ring with him for even a few minutes, but I wanted to see more of this. I’m not sure if my words here will do this anymore justice than it was, so forgive me for just being a genuine fan of wrestling here as I just go crazy over how everything this match was. I mean you knew you’d be in for a treat just knowing that it would be Kevin Owens against Finn Balor. Then you see ‘The Demon’ emerge as Balor is decked out in his special body paint and mannerisms, and you’re like: “Well (insert cuss here), this is going to be special.” You had women giving both competitors flowers before the match as a Japanese custom towards a championship match (makes me wonder why this wasn’t the case in the Divas match as well, I mean other than the obvious), and the streams being thrown into the ring is something I didn’t think I’d ever see in a WWE ring. You even had appearances from Japanese NXT superstar Hideo Itami who watched from the crowd as he’s recovering from an injury and WWE Hall of Famer Tatsumi Fujinami congratulating Finn after the match. “NXT” chants, and even the commentary during this match was the best it could have been, which is shocking when you compare this commentary to what you’d normally hear from Michael Cole and co on a regular basis. Moves being rusted off from both that link to their careers on the independents, something you don’t normally see on WWE TV as much. I mean, my God, this was indeed awesome, and I only use that word when it is deserved as I feel the word in general has outplayed its true meaning in this day and age. This was everything, it was… watch it. Seriously if you aren’t a fan of professional wrestling, this match will make you one, I can guarantee you that, unless you are someone who does not like entertaining television. I apologize for letting the inner fan in me coming out too much during this match, but its matches like this and people like these two that make me realize why I am currently training to be a professional wrestler, and more importantly, why I’m a fan of professional wrestling as a whole. The action in the ring (moves, characters), the atmosphere of the live crowds, the bright lights, big stage, the stories being told both in the ring and outside of it. This match just made me so happy to be a fan of this amazing format of art, and yes, I do in fact consider professional wrestling art. Seriously, though, if I were to ever meet Finn Balor, or even Kevin Owens (assuming he gets an attitude change by then), I wouldn’t know what to do. I don’t want to make it seem like this match was bad, but it just didn’t feel like a Main Event, as that honour belongs to the last match. Saying that, they did their best to send the people home happy, and I believe they did that. I just thought Owens and Balor should have done it instead, but of course when you have the money maker that is John Cena in the main event, you make, well, money. I mean he was big in the event from the crowd so they definitely made the smart choice there. But once again, it was a very nice match that sent the people home happy, I mean it did for me. 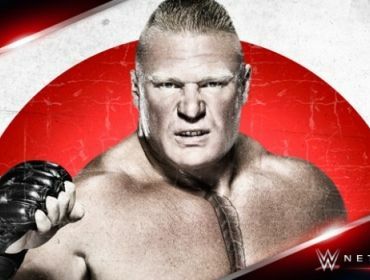 So, yeah, those are my personal thoughts on WWE’s first live special show from Japan. I can only hope they do this more often in the future. Maybe a special from the UK would be great as well, perhaps? A WWE television show or Pay Per View in Wales? NXT in the UK? Damn, I would give all my possessions to see either live. Now, I’m just going to leave you. Maybe to be a part of that someday, that would be… well, let me worry about being good at wrestling normally and correctly first before I start speaking with starry-eyes and unimaginable fantasies. Related Article: Rhys Review: Vertigo Pro Wrestling – Round Two: Fight!